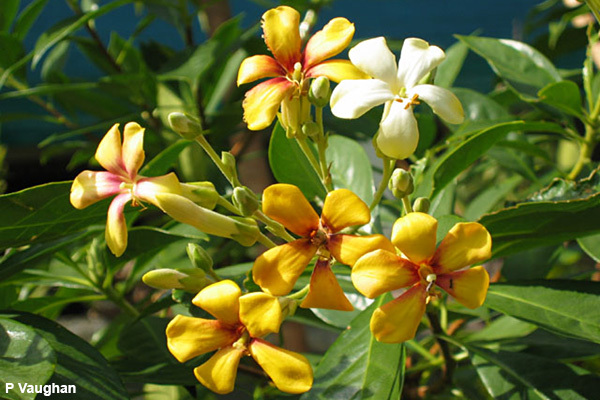 Frangipani is the common name for plants belonging to the Plumeria genus which is named for the French botanist Charles Plumier. 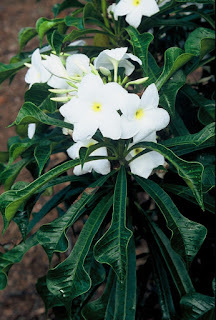 The plant we most often call frangipani is the species, P. rubra (above). 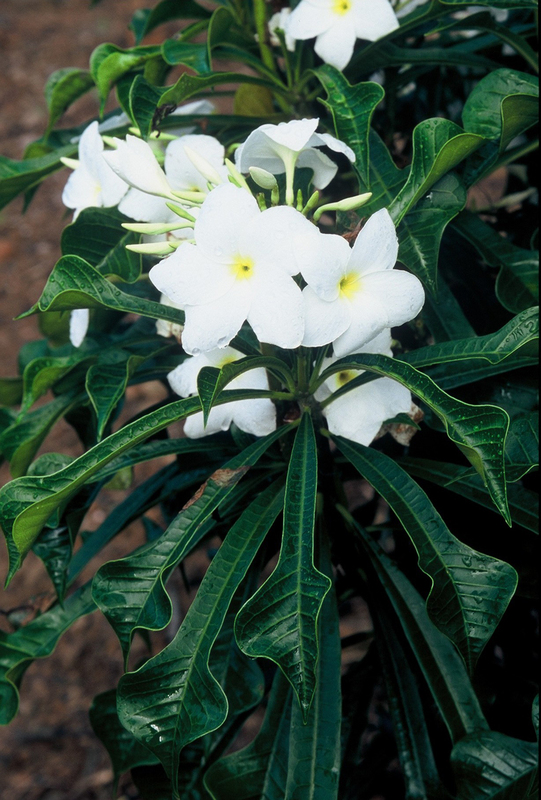 The Australian Native Frangipani is not a Plumeria. Hymenosporum Flavum is a tree that belongs to the family Pittosporaceae. 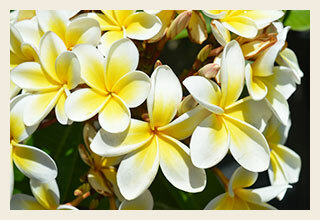 Don't forget to bring along your frangipani (whichever one you prefer) to Saturday's Competition Table.